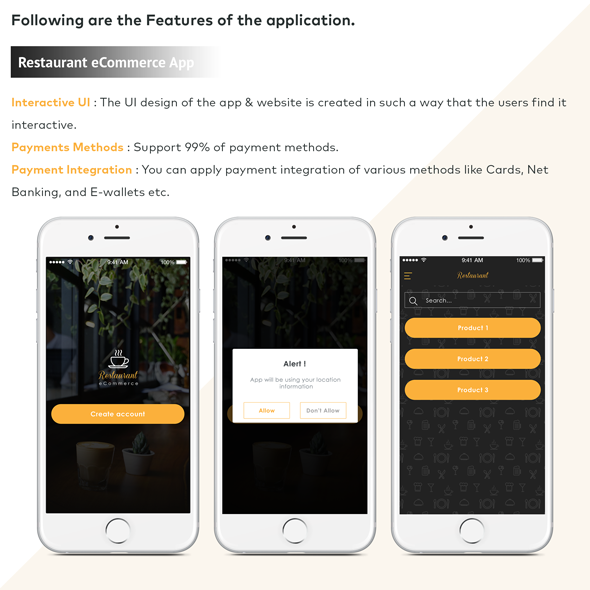 Restaurant eCommerce xCode front-end UX is unique mobile application template for Food Items. 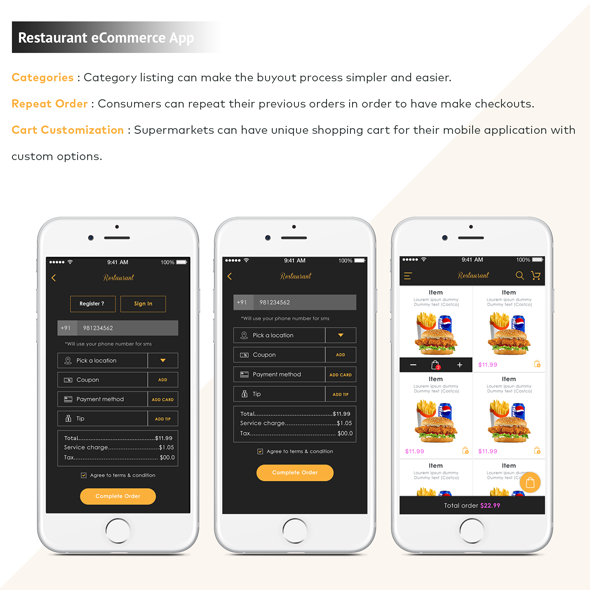 It is now functional to have an app for your cuisine, which helps the people buy products easily and quickly on the go. 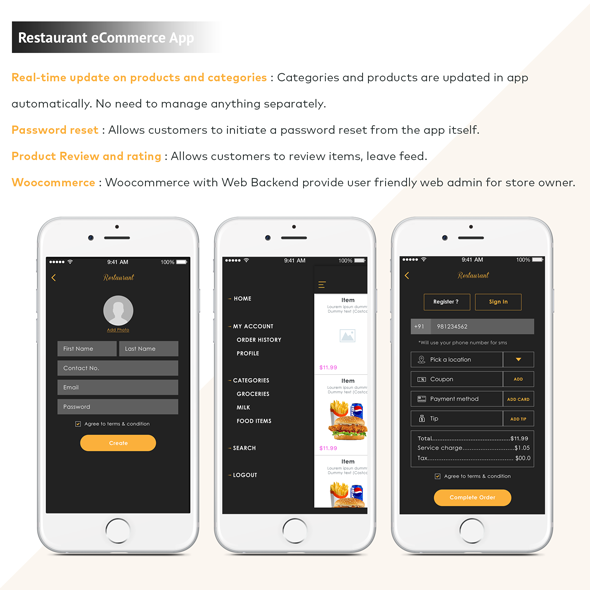 To have more consumers reach your store, the app helps achieving that target virtually. 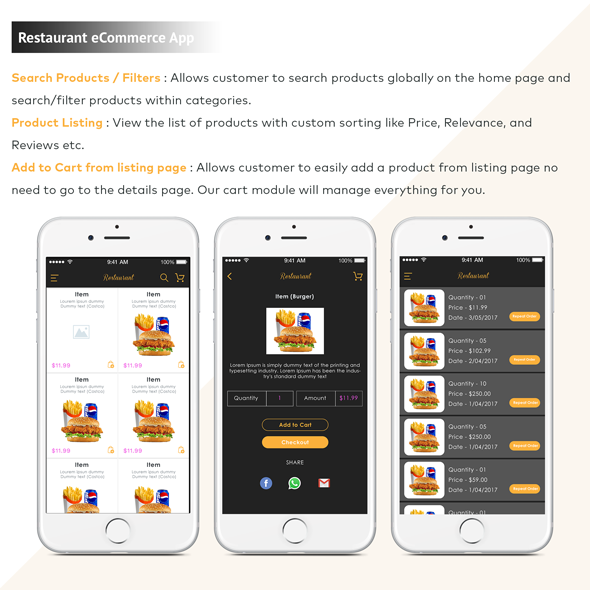 The app design and structure lets the consumers go through various list options on the app to buy a new product or see the price. 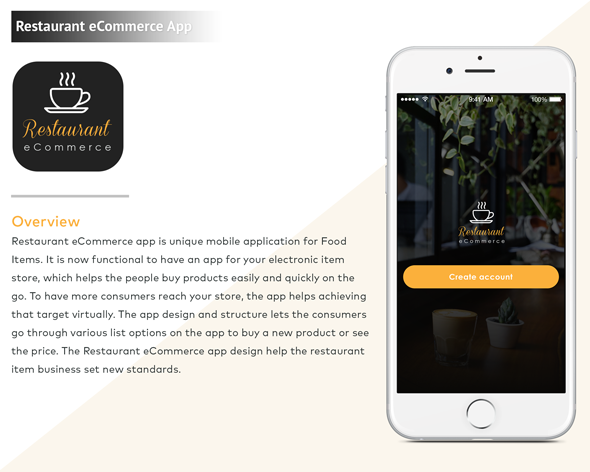 The Restaurant eCommerce app design help the restaurants set new standards.